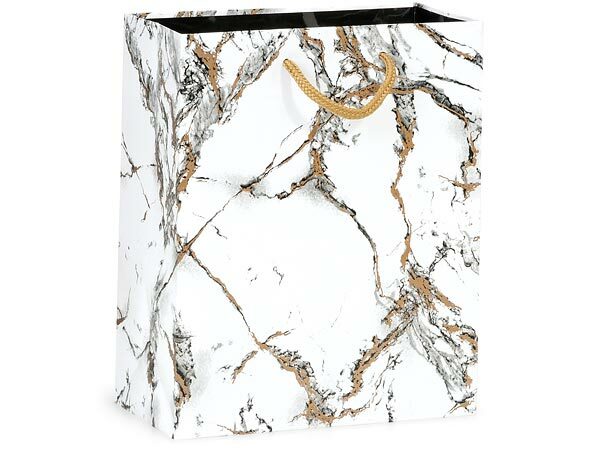 Cub size Marble gift bags have an upscale marble design with gold details. These gift bags are the perfect size for clothing, housewares and home decor! Sold in small packs of 10. These gloss laminated bags are made of deluxe heavy weight paper with cord handles. Shop Nashville Wraps for exclusive Christmas Gift Bags for holiday gift wrapping!